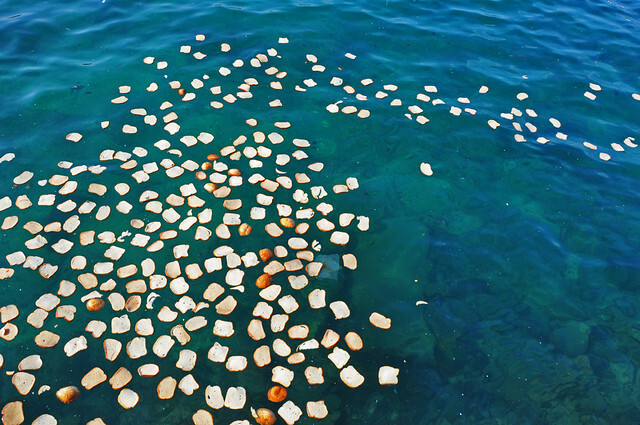 1 Cast your bread on the surface of the waters, for you will find it after many days. 2 Divide your portion to seven, or even to eight, for you do not know what misfortune may occur on the earth. 3 If the clouds are full, they pour out rain upon the earth; and whether a tree falls toward the south or toward the north, wherever the tree falls, there it lies. 4 He who watches the wind will not sow and he who looks at the clouds will not reap. 5 Just as you do not know the path of the wind and how bones are formed in the womb of the pregnant woman, so you do not know the activity of God who makes all things. 6 Sow your seed in the morning and do not be idle in the evening, for you do not know whether morning or evening sowing will succeed, or whether both of them alike will be good. This is a great passage, and a reminder to keep investing prayer. Yes, pray about everything and worry about nothing. But even more, invest your prayers. Divide them up…cover many topics important to you. Make several presentations to the Lord. When we consider the life of an investment, we learn it is subject to the time and the “market.” There are many factors at work concerning our individual requests. This is why we can’t look for indicators in the wind or clouds (natural circumstances). What looks like chaos may be the factors aligning with our prayer. Mornings need prayer. Evenings need prayer. Keep investing for we do not know the Lord’s decision. We know what we hope. We know how and in what direction we extend and release faith. We know He is pleased by faith, but we still do not know how His decision will manifest. So we trust that as we cast much prayer as investment, that in the cycles of return and harvest we guarantee for ourselves the Lord’s remembrance of us, His attention turned toward our memorial of prayer (See Acts 10). He must see to us because we have MANY investments out there. Last night I had the honor for the second time to pray on a family’s prayer call that was not my own. I shared the scripture nugget Holy Spirit echoed in my ear and had the wonderful honor to pray for this righteous heritage. When we were done, I may have received the greater blessing. You see, I have witnessed the fruit on their vine for years through relationship with my prayer mother and to pray for them and connect in this way was special (to say the least). They returned prayer back to me and my family. Or you can say, in line with this passage, I found some of my bread. We do to engage our faith with the scriptures we hear that build our faith. We are ordained for good works in the earth. I take nothing away from this. But our prayers…they attach our faith to the eternal result, the heaven-to-earth collision that shows up as manifold (many-sided) grace. And last night I was given a wonderful gift…to remind me and encourage me to keep investing prayer. I say the same to you. Don’t regard the wind or clouds. Don’t presume to know God’s pattern so well, that you think you know His choice as well. We have NO IDEA how He plans to work His will. But, we can divide our investment, deepen our foundation and be sustained until the full yield is known. I love you Royal Ones, and commit you to your greater investments. Selah.